When you visit Huck Dental, expect to be treated with care by our friendly, welcoming team. We are here to help you every step of the way, from your first call to all follow-up and re care visits. If you have questions about any aspect of your treatment plan, clinical or financial, please ask. 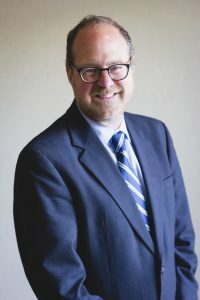 Dr. Leonardo Huck DDS graduated from Marquette University School of Dentistry in 2007 where he still teaches part-time as an Adjunct Professor. Dr. Huck is a member of the American Dental Association, the Wisconsin Dental Association, the Hispanic Dental Association, and the Academy of General Dentistry. He received the Jack D. Mesropian Professional Protector Plan Memorial Award from the Wisconsin Dental Association in 2007. Prior to attending Marquette, he practiced Dentistry in Argentina for eight years after graduating from University of Buenos Aires. Dr. Huck moved to Milwaukee 2002. 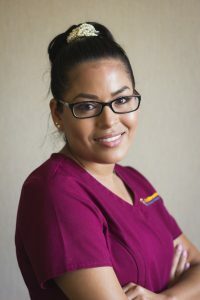 Melanie graduated from MATC with a degree in Dental Hygiene and has been practicing since 2006. She also practiced dental hygiene in the Washington, DC area for 2 years while her husband was stationed there in the Army. 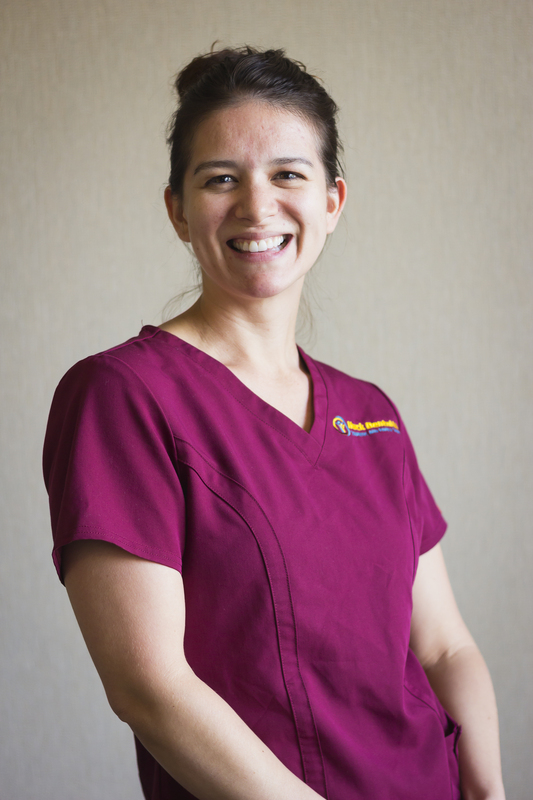 Melanie enjoys working with patients of all ages to obtain their oral health goals. She feels education is the key, if her patients understand what is going on in their mouths they can take better care of not only their teeth but body, too. She is patient and compassionate with her patients, treating each one as an individual. Melanie lives in Racine and in her free time, she enjoys spending time with her family and children. 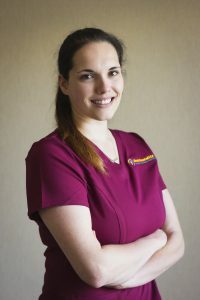 Samantha graduated from WCTC in 2015 with a degree in Dental Hygiene. She knew she wanted to be a dental hygienist at a young age thanks to her dentist growing up. She believes a persons smile says so much about them, and no one should be embarrassed to show it off. With education and proper home care, anyone can achieve their oral health goals. In her free time, Samantha enjoys spending time with her family which grew by one this year, a baby boy named Noah. 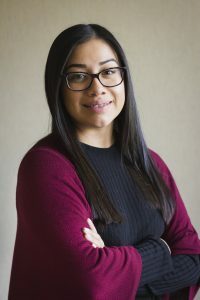 Josselyn graduated from Ronald W. Reagan IB High School in 2015 and attended the Milwaukee Area Technical College after graduation to obtain her diploma as a Bilingual Dental Assistant. Prior to her employment here she was able to shadow our current staff to acquire experience and real life scenarios. Aside from work, she loves spending time at the library, park or simply at home with her family and her daughter. 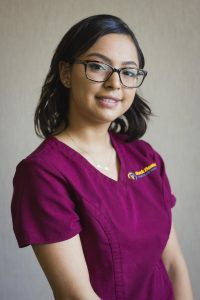 Originally from Veracruz, Mexico, Dalia obtained her Bilingual Dental Assistant diploma from MATC in 2015. She joined our team in April of 2017 and she enjoys learning everyday. She focuses on our patients and making sure that their experience at our office is positive. Away from work, Dalia spends time with her husband and children. Viri joined our team in 2010 and is currently attending the Diedrich College of Communication at Marquette University. Communication is very important because it enables understanding and strengthens relationships, and both are her striving goal. Helping others is her main objective, and handled by answering our patient’s questions and concerns; clinically and financially. Outside of work she is a busy mother of two girls and two furry boys, Maximilian and Bruno. Marlene is of Mexican descent and was raised in Milwaukee, WI. She currently attending the Milwaukee Area Technical College, majoring in Psychology. 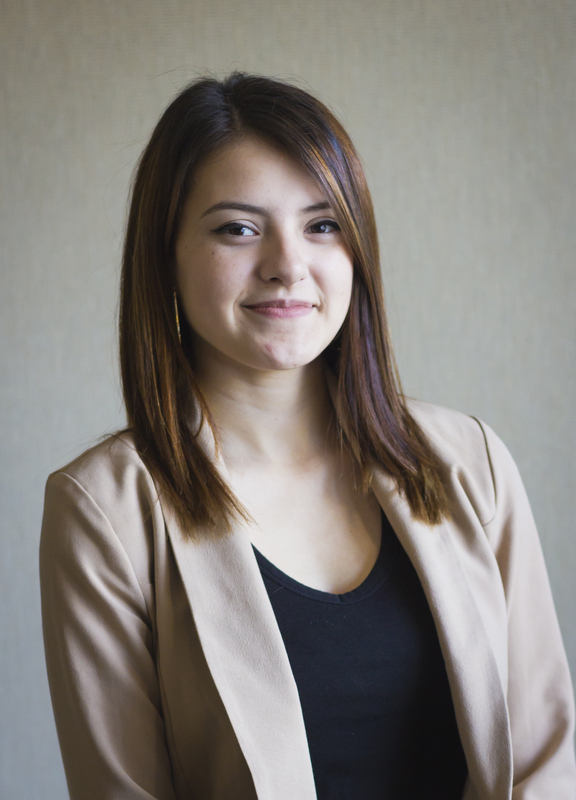 She joined Huck Dental after graduating from Ronald W. Reagan IB High School in 2015. Marlene is here to help patients schedule appointments and create financial agreements. Apart from lovely dinners with the Huck Dental staff, she enjoys reading and dancing.